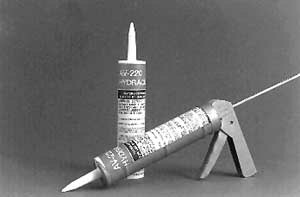 Avanti Internationalr sealing cracks and joints in concrete structures by injection, the AV-220 Hydracure Injection Resin uses the variable pressure application technique. The product forms a dense solid resin with good tensile strength and excellent bonding to concrete. The cured resin is flexible and will resist degradation through thermal expansion and contraction, wet and dry cycles, and freeze and thaw cycles for long periods. It also exhibits good resistance to attack by fungi, alkalis, and gases normally found in soil and commercial structures.